We finally have UBER here on the Costa Del Sol. It´s not quite like the UBER in the UK where anyone can become an UBER driver. Will it be cheaper than a normal taxi? Not necessarily, but it is far easier to open an app which already has your location in, rather than trying to explain where you are. It´s also good to know the price before you start, rather than have a nasty surprise at the end of your journey. 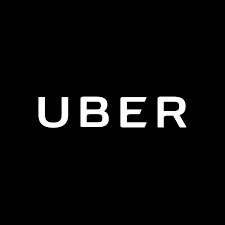 There´s also plans for UBERSO, a service for your journey to and from Maria Zambrano, Malaga & Atocha, Madrid where you will receive a 20% discount. Ever since we have lived here, there have always been problems between taxis and any competition that they see as a threat. The taxis here are generally pretty good, but the service definitely needs some improvement. In the winter months there are hundreds of taxis sitting on the taxi ranks, whilst in the summer months we have often found ourselves walking home for 45 minutes rather than wait for a taxi. The main issue is phoning for a taxi, especially in peak periods. Normally, when you call, you give the address where you are and they generally say 5 minutes. But at peak periods we have often been unable to get through. It´s also pretty tricky if you´re out and don´t know the name of the street you´re on. We have often had to help many people stranded with kids who can´t call for a taxi because they don’t speak Spanish or understand how the system works. It´s very early days but sadly have already heard of some incidents that have taken place between Uber drivers and Taxi drivers. Let´s see what happens, and if any of you use UBER Costa Del Sol let us know how the service was. If you´re looking for Private Transfers, we recommended Shuttle Direct.